The daikon pickle known as “Takuwan” was named after a Buddhist monk who taught the Shogun feudal leaders. During the Shogun period of Japanese history, people began to eat white rice instead of brown and a new use for the rice bran that had been removed was created. The rice bran, called “nuka” was roasted and mixed with sea salt, kombu, and sometimes other flavorings. The takuwan pickle is made by hanging the daikon upside down until it becomes flexible. It is then buried in a crock of nuka for one to three years, yielding a very strong, salty pickle. The takuwan pickle is often soaked briefly to reduce the saltiness before it is eaten. It is not difficult to make takuwan pickles and sometimes wheat bran or brown rice flour is used instead of rice bran–though these have a slightly different flavor. An excellent reference on this may be found in the book, Aveline Kushi’s Complete Guide to Macrobiotic Cooking for Health, Harmony and Peace. But it is possible to purchase high quality takuwan as well. I find my takuwan pickles already made in the macrobiotic section of my food store or by mail order. The takuwan pickle is a tremendous aide to digestion, a stabilizing influence on body energy and is a naturally delicious accompaniment to brown rice and other whole grains. This entry was posted in Food, Pickles and tagged daikon, nuka, pickle, radish, rice bran, Shogun period in Japan, takuwan by mycookinglifebypatty. Bookmark the permalink. Just was reading somewhere else recently–probably a Macro cookbook–about daikon. Thought to myself it was high time to buy a radish again. Have never made the pickles but bet they’re good for us. 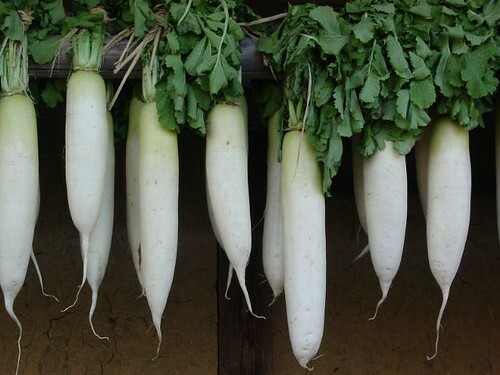 Yes, I think daikon in any form is very good for us! Sendai, Japan, where Miyamoto Musashi is from and also where the tsunami hit bad just recently, is known for their pickles they call o’shinko. Fae. My apologies… I was confused with Date Masamune, who was from Sendai, the prefecture known for their pickles/oshinko. 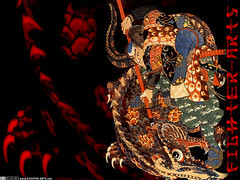 Miyamoto Musashi was a master swords man, a samurai ronin, who was from Kansai (south of Japan). :b Fae. Wow, Fae! I’m impressed with your knowledge about this. Have you traveled to Japan? That is a place I would love to go! I grew up in Japan age 5~14 and traveled back many times, both for pleasure and business. I love the country/culture and stay close to it.